Mexico, one of the most densely populated Latin American countries, must address its numerous problems. Demographic change in this country is such that almost half the population is under 20 years of age. Consequently, investment in the protection of children’s rights is insufficient and many of these rights are flouted. 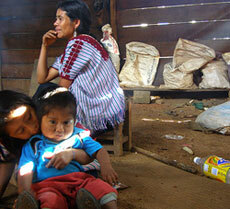 Half the Mexican population lives below the poverty line. This alarming figure reveals deep social inequalities which are embedded in Mexican society. Indeed, the country’s wealth is unevenly distributed, thus dividing the country in two with the poorest on one side and the richest on the other. 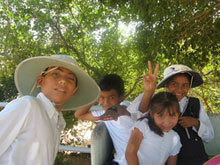 It is estimated that a quarter of Mexican children live in poverty. These children are confronted with numerous difficulties with regards to upholding their rights. They have difficulty accessing education, healthcare and housing. Poverty, which affects a large part of the population, is responsible for the high rate of child labour. Around 3.5 million Mexican children work carrying wood or cement, or as servants. These children, exploited because they are often underpaid compared to an adult doing the same job, work in difficult conditions and put their health in danger on a daily basis. They work all year round or just during the harvest period, and only a few receive schooling. Indeed, earning a salary to help their parents is more important than getting an education, which to them is merely another expense. Although Mexicans have a life expectancy almost equal to that of Europeans, the Mexican health system has many failings. The quality of staff and care differs between private and public healthcare. 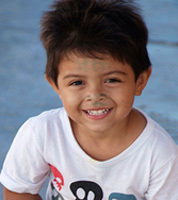 Mexican children from poor families, therefore, only have access to basic healthcare, which is often inadequate when faced with certain illnesses these children may develop. The most alarming indicator of the state of child health is the presence of AIDS, which affects 0.2% of children. The number of children born with AIDS is estimated at around 250 every year. Unfortunately, the transmission of the virus from mother to child occurs more often in poor villages. The lack of information about the transmission of the AIDS virus prevents the eradication of this phenomenon. Often living in poverty, Mexican children are vulnerable to violence both in the home and at school. Violence experienced at school has dramatic consequences because it pushes children to abandon their education to go to work. Furthermore, street children also find themselves victims of violence at the hands of their employers or even traffickers who exploit them. 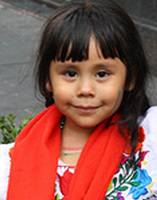 Education is compulsory until the age of 14 years in Mexico. However, 15% of children work from the age of 12. Despite real effort on the part of the government to ensure that 100% of children receive a school education, the quality of teaching leaves a lot to be desired and leads to many children leaving school. In addition, social inequalities are evident within the classroom. Children from rich families in the north of the country have easy access to private universities, whereas children from poor families in the south, who don’t have this opportunity, often leave school. Finally, despite state investment in numerous funds aimed at improving education, the state of education in Mexico is ranked worst out of all members of the Organisation for Economic Co-operation and Development. 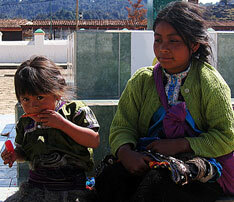 Child marriages are very common in Mexico. It is estimated that over 20% of young girls are married before the age of 18. Although the legal age for marriage in Mexico is 18, as it is in many other countries, young adults can marry before 18 with parental consent. Very often, therefore, it is the parents who arrange the marriage without the consent of the young couple. These unions often have serious consequences on the young brides’ health as they don’t yet understand all that marriage entails. Children belonging to ethnic minorities and indigenous Mexican communities are affected by discrimination as well as violence by Mafia militants. These children often see their most basic rights, such as the right to education and healthcare etc., flouted. This in turn leads to serious consequences regarding their physical and psychological development. The rate of infant mortality, for example, is 60 times higher in indigenous communities than in non-indigenous communities.